Over the years, Idea Factory, and more specifically Compile Heart, have blessed us with a number of excellent games. I’d to say that you can add Dark Rose Valkyrie to that ever-growing laundry list of Compile Heart must-plays. I’d like to. But I can’t. To be fair, I’m not saying that this game was bad. I still found myself enjoying a decent portion of the game — primarily the VN segments — and I think that die-hard CH fans would still be fine with a title like this. 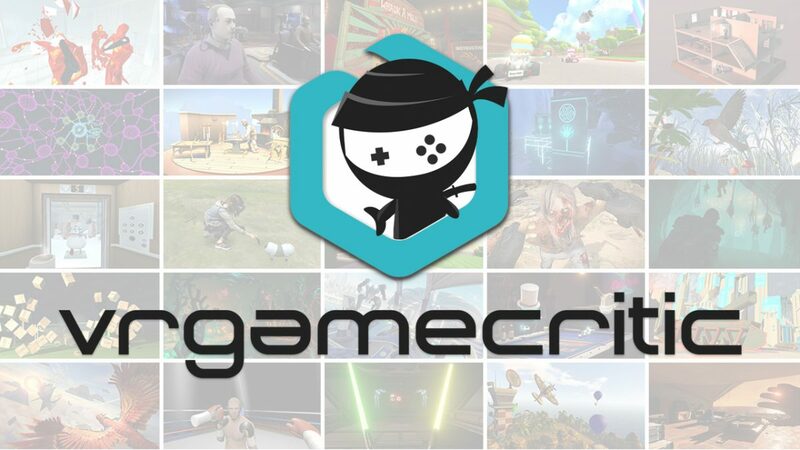 Still, there’s something to be said when a company as well-established as this one releases something not quite up to its own standards. The gang’s all here! Well… most of the gang. Taking a noticeably more stoic turn from staple Compile Heart titles like the Neptunia franchise, Dark Rose Valkyrie takes place in 1929, in an alternate version of Japan. After a meteorite known as the “Black Garnet” crashed into earth, humans began do succumb to “Chimera” — a virus which quickly spread to 3% of the entire human population, transforming them into baests of the same name. Enter Asahi Shiramine, a 2nd Lieutenant and the newest member of Japan’s top-secret Anti-Chimera Interception Division (or ACID for short). 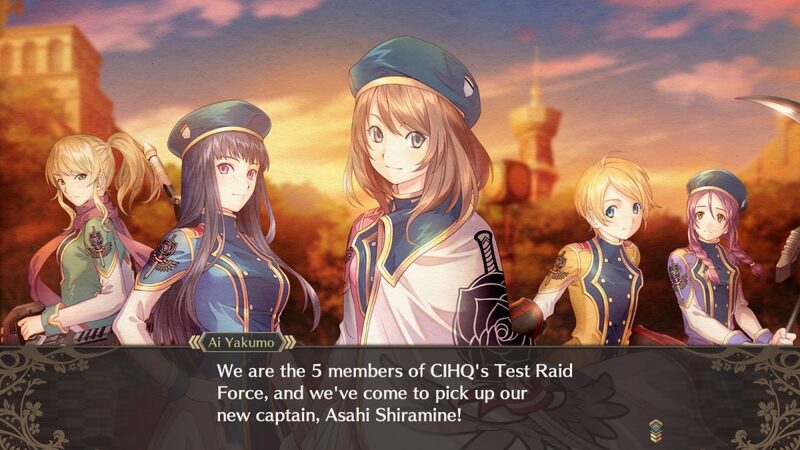 Despite his overall lack of experience compared to the rest the group, Asahi finds himself appointed to the position of Commander of ACID’s own Valkyrie Force — a group specifically dedicated to combating the Chimera threat. Compared to other aspects of the game, Dark Rose Valkyrie‘s narrative is definitely the best thing going for it. However, a lot of that praise is aimed more toward the narrative elements which involve player input. Outside of VN segments, things are good but don’t really stand out. Even after having just played it, I’m actually having difficulty remembering some of the finer points of what happened in the game; definitely not a good thing. I think that a lot of this chalks up to its slow initial pacing. Although more exciting toward the end (once again primarily thanks to the VN aspects), the beginning of Dark Rose Valkyrie‘s story isn’t something that is going to end up sticking with me (clearly). And if a narrative-heavy game like this doesn’t completely pull you in in the beginning, what’s to say that you’ll still be around at its conclusion? 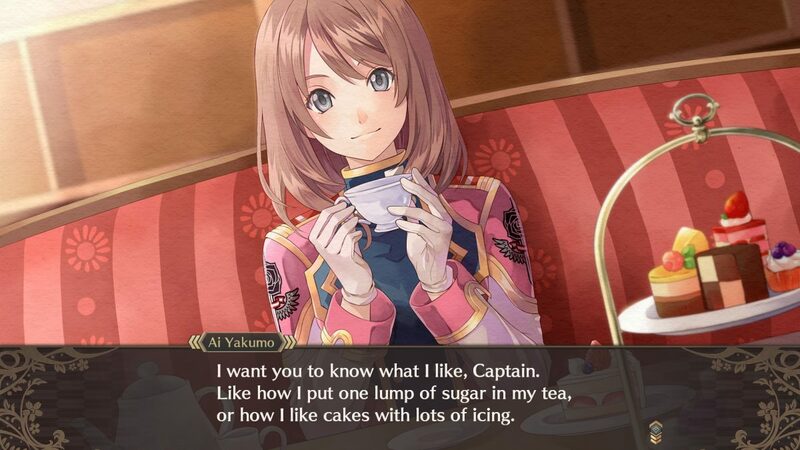 Dark Rose Valkyrie’s cast of characters are likable, and enjoyable to learn more about. Fortunately, the actual cast of Dark Rose Valkyrie fares better. Although not immune to the perils of trope-dom — with such personalities as “the shy girl”, “the rich, naive girl”, and “the pickup artist” — there was no denying that I felt compelled to care for them. 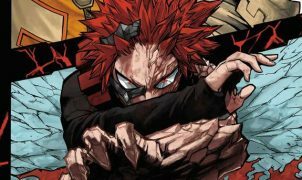 In contrast with the story, the pacing of individual character development feels much more balanced. Much like its own protagonist Asahi, Dark Rose Valkyrie throws the players into the midst of a group of people who are already close-knit enough that you feel like an outsider — leaving you wanting to know more. 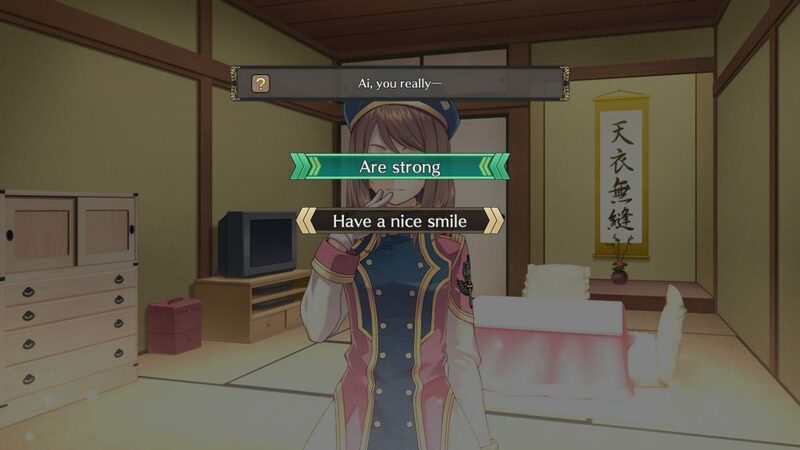 Dark Rose Valkyrie also manages to make most of its cast feel just down to earth enough to help make most conversations on the player’s side feel more comfortable and believable. It’s a delicate balance, but this game handles it nicely. At least they’re visually unique! Like many other Compile Heart Titles, Dark Rose Valkyrie is at its core very much a DRPG. 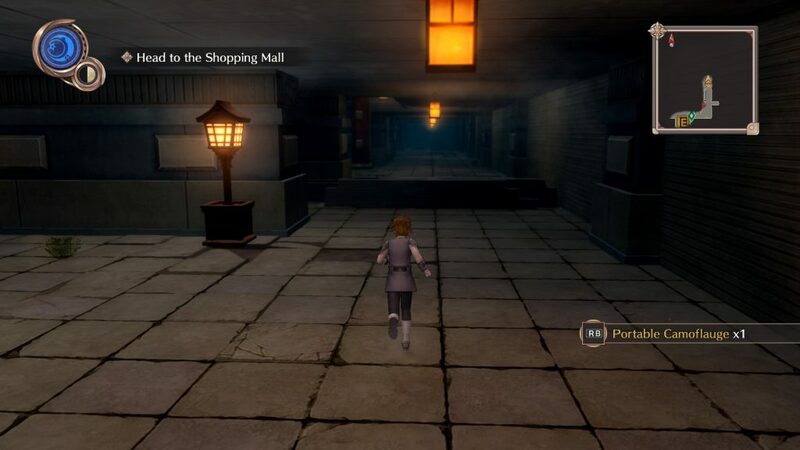 Players will spend most of their time crawling through a number of the game’s dungeons, doing little more than battling monsters and collecting treasure along the way. Subjectively, it was enjoyable. Being someone who generally never gets bored of slogging through dungeon after dungeon, I once again found myself taking to Dark Rose Valkyrie‘s familiar layout quite nicely — as I have done with many Compile Heart titles before. Objectively, however, I couldn’t help but notice a problem. A lot of the actual dungeon crawling feels very recycled at this point. Even as someone who generally doesn’t mind repetition among titles made by the same developer, I couldn’t help but notice how nothing ever felt completely new. Sure, the dungeons themselves were different. As were the monsters. But a lot of it still boiled down to doing what I had already done so many times before. I like Compile Heart DRPGs. Very much so, in fact. And I’m very much aware that DRPGs are somewhat niche. There isn’t a whole lot that you can do to a DRPG before it turns into something else. But that doesn’t make stagnation okay. A detailed world map is always a plus! Ah, but there is a light at the end of this tunnel. A light in the shape of a world map! While the actual dungeons may have been old hat, Dark Rose Valkyrie does successfully add an all-new level of immersion thanks to the inclusion of an actual world map. It may not seem like much, but little things can make a big difference sometimes. The ability to freely walk around the world as opposed to merely selecting your destination is a very nice touch — and this was only further enhanced by the map’s artistic attention to detail . Get ready to spend plenty of time refining your combat skills. Being a DRPG and all, you can bet that you’ll be spending a lot of time in this game locked in combat with opposing forces. Normally, that’s a good thing. Not so much this time, though. As loath as I am to admit it, Dark Rose Valkyrie‘s combat system is the game’s weakest feature. Now, I’m used to a game throwing in a few unique quirks when it comes to turn-based combat. That’s how you keep things fresh and fun. But making things as needlessly frustrating as they are in Dark Rose Valkyrie isn’t how you properly spice thing up. On paper, fights actually don’t sound bad at all. It’s a turn-based combat system which, in a lot of aspects, is just like any others. But practice is completely different. And boy, does Dark Rose Valkryie take some practice. First, we’ll look at combos. 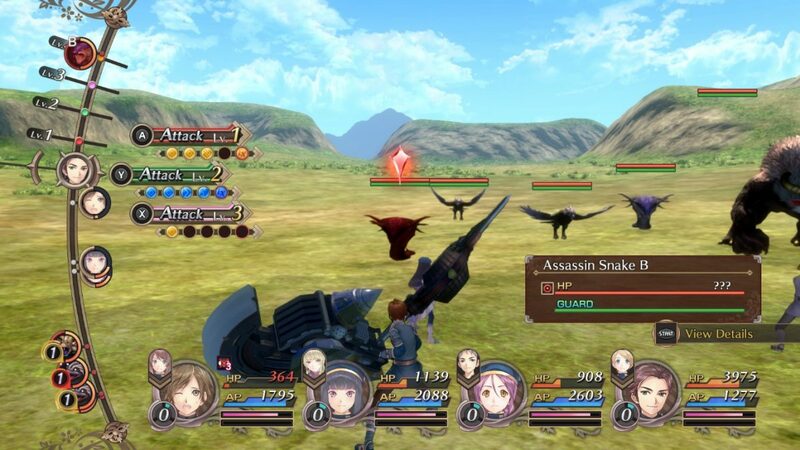 In lieu of performing basic attacks, Dark Rose Valkyrie gives players the chance to create three unique attack combos. 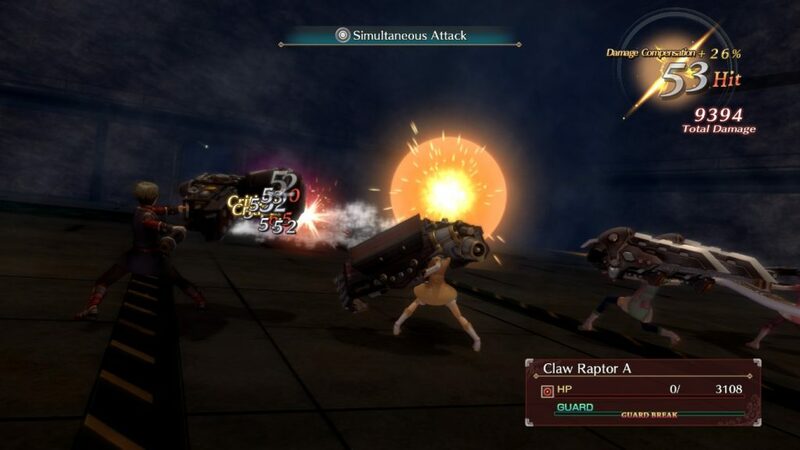 Working in a manner similar to Fairy Fencer F‘s attack system, each combo attack is a unique move in and of itself, featuring unique stats, properties, and additional effects. Players can also chain together certain combo attacks to create Riots — stronger versions of basic combo attacks. Characters do have special attacks as well, which can be used by consuming AP, however AP drains so quickly quickly that you’ll often times find yourself halfway through a dungeon with only your combos to rely on. Sync Attacks can really help to turn the tables on your foes… if you can pull them off! Instead of giving the player three combo chains with the same damage ratio, the player is given leveled combo slots. Higher level combos mean a greater damage output, but it also means a longer wait time between attacks. This has the potential to be neat, but more often than not it aggravated me. Dark Rose Valkyrie relies very heavily on elemental strengths and weaknesses, meaning that the player must be sure to create combo chains featuring different elements. The problem with this, however, comes in when the game begins expecting the player to juggle a large number of multiple weaknesses in a single battle. To be fair, this isn’t a huge deal in normal battles. Bosses,who have multiple parts which must be broken — each featuring differing weaknesses — end up making a mess of things very quickly, though. Dark Rose Valkyrie‘s Break Guage is also more complicated when it should be. Much like every other Break Gauge you’ve heard of, depleting the Break Gague will — what else — break the enemy, temporarily stunning them and opening them up to attacks. Attacking stunned enemies is very beneficial, as it allows for follow-ups like Side Attacks or the all-powerful Sync Attacks which have your entire rear line unleash their might on your opponents. Unfortunately, this ended up being botched as well. Instead of having players whittle down the Break Gauge slowly, Dark Rose Valkryie expects its players to down the gauge in a single turn. This is do-able without a lot of effort in normal battles. Bosses, however, once again make this mechanic hard to properly pull off. Relationships are important. Mind what you say! There’s a decent chance that Dark Rose Valkyrie‘s cookie-cutter dungeons and frustrating combat will end up getting to you. Fortunately, the game grants its players a much-needed respite with its VN sections. Although not featured as heavily as the basic RPG segments, these bite-sized bits of narrative-focused, decision-driven gameplay were undoubtedly my favorite parts. As players progress through the game, they are able to interact and form relationships with their fellow party members. Typically, these consist of little more than talking to them on base. These interactions will often times prompt players to respond to questions and comments, with correct responses bringing you and your ally close together. These interactions may not seem like much initially, but they play a crucial role later on. After a certain point in the game you’ll discover a traitor in your midst. And it will be up to you do root them out. The best part about this? It’s not pre-determined! Rather, the game selects the traitor based on your interactions up until that point. 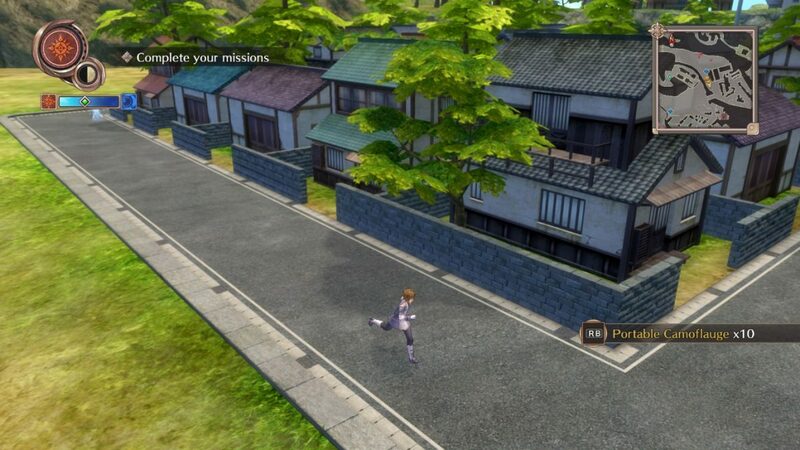 I’d expect something like this out of an Ace Attorney game, but a JRPG? Well, consider me highly impressed. From pudding thievery to military traitors, interrogations can certainly be interesting. The player will also have to conduct several investigations throughout the game. I’ll admit that I wasn’t expecting much with these initially. However it only took one time for me to realize how wrong I was. 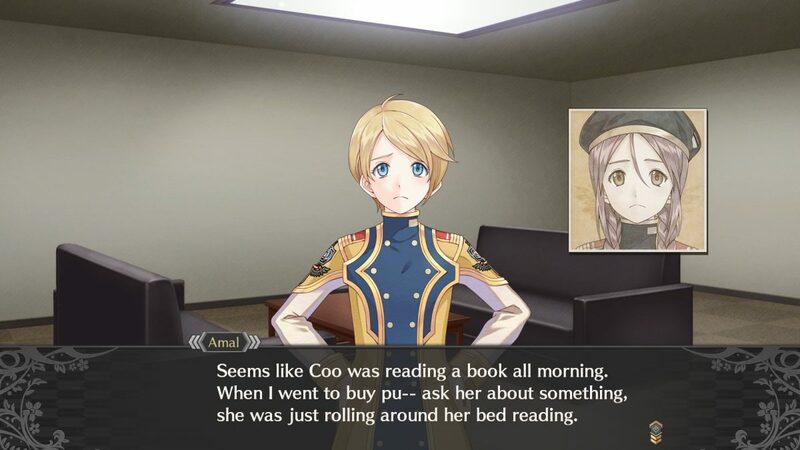 Dark Rose Valkyrie requires that the player gain information by interrogating their allies, but only gives them a limited amount of time to do so. Therefore, it becomes paramount that the player figure out not only whom to interrogate, but what to interrogate them about. Spending too much time on a particular charter or asking the wrong questions can put you in a real bind. I won’t pretend that interrogations aren’t difficult, because they kind of are, but successfully pulling off an interrogation and calling out the culprit is a total blast. Dark Rose Valkyrie is certainly ambitious in its own way, I’ll give it that. It features a nice cast of characters, charming VN elements, and a unique interrogation method, the likes of which I’ve never seen in a JRPG before. Unfortunately, good dialogue just isn’t enough to skirt the issues present within the game under the rug. The dungeons are repetitive, and the combat is incredibly frustrating. And, in a JRPG, those are both pretty big no-nos. Dark Rose Valkyrie isn’t a bad game. If you like Compile Heart, this is worth checking out. But for those looking for something which can stand on its own… maybe this one’s not for you.